Notre Dame Regional High School is located near Cape Girardeau, Missouri, with a population of approx. 36,000. 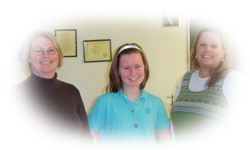 Notre Dame Regional High School mission is to foster and build upon the teaching mission of the church. The school offers a disciplined environment which rewards excellence in scholarship, leadership and Christian service. The Notre Dame faculty is comprised of over 40 clergy, religious lay men and women who are fully certified.